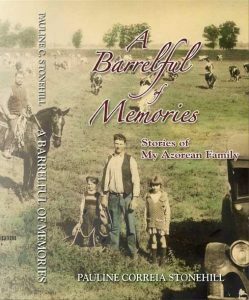 The re-printed version of A Barrelful of Memories by Pauline Correia Stonehill, featuring improved graphics and layout, is another precious literary nugget of the Portuguese Heritage Publications’ Pioneer Collection. The re-printed version of “A Barrelful of Memories” is now available by mail order or from Amazon.com. What an opportunity to provide friends and family with a “peak” into the life of a Portuguese pioneer family in the early 1900s.